But even if we wanted World War III, would we want it run like New Jersey? My favorite moment during the GOP debate in Las Vegas came when Rand Paul cut my governor off at the kneecaps. Not that that’s hard to do. When Chris Christie overplays his tell-it-like-it-is, Jersey-tough-guy shtick—encouraged lately by a slight bump he has raised in the New Hampshire polls—he tends to walk into traps of his own making. 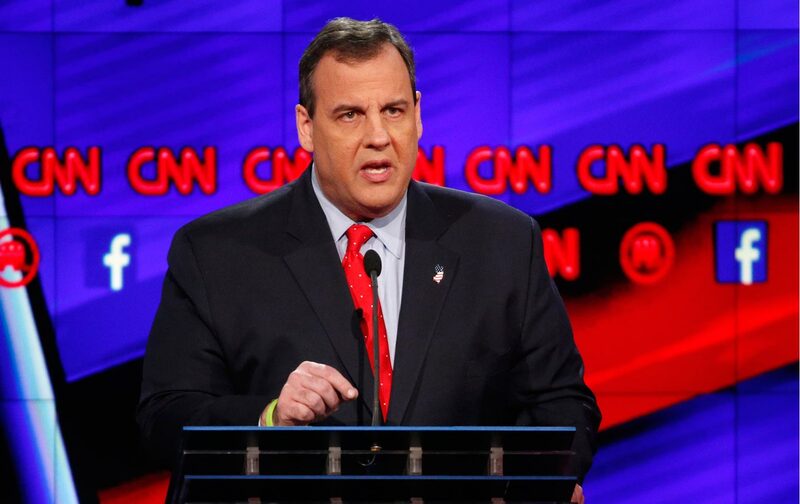 “Not only would I be prepared to do it, I would do it,” Christie said, without hesitation. When we think about the judgment of someone who might want World War III, we might think about someone who would shut down a bridge because they don’t like their friends. Christie acted like he never heard the B-word, of course, sputtering on in his reply about how Obama and Clinton were truly reckless for inviting Russia into Syria in the first place (Russia built its military base in Syria in 1971, when Obama was 10 years old, but hey, the Guv is communicatin’ here). Really, who he plays in these debates is Frank Underwood, looking straight into the camera like there’s no one else onstage to deliver a monologue through the tumbled fourth wall—Look into my eyes, America!—reaching through the media frame to deliver a slap of cold, hard truth. As when he said from the Vegas stage when Cruz and Rubio got into the legislative weeds about terrorism and immigration, “Listen, I want to talk to the audience at home for a second. If your eyes are glazing over like mine, this is what it’s like to be on the floor of the United States Senate. I mean, endless debates about how many angels on the head of a pin from people who’ve never had to make a consequential decision in an executive position. And for years the media has fallen for it. Christie was the made-for-the-Internet candidate, the YouTube vids of him yelling at the press or teachers or anyone who looked at him wrong going viral for their raw, bully quality. Christie in fact was always a risky bet, even before Bridgegate effectively ended his political career, because they don’t go for that kind of thuggish impoliteness down South. It must be maddening: Christie sees Trump say stupid, career-ending slurs, he sees him flick off one premature obit after another and come out stronger each time. “Why can’t I be like that?” Christie must wonder. Why don’t Bridgegate, New Jersey’s nine credit downgrades, the highest foreclosure rate in the country, the outrage of Hurricane Sandy victims who feel betrayed by the shenanigans with federal relief money, just make me stronger the way Trump’s excesses do?